Are you looking for SSC Result 2019 date for all education board in Bangladesh? Then you are in the right place. From here you will know about SSC result 2019 date as well as full information about SSC result 2019. The SSC result of 2019 will release on 6th May 2019 with all education board Bangladesh. The SSC[Secondary School Certificate] Exam started on 02-02-2019 and it continued to 10-03-2019. There was a break in the SSC exam 2019 because of Bisso Iztema in Bangladesh. Before the year of 2014, there was two Board exam in Bangladesh. But now SSC is the 3rd position of Board exam. Because now students need to pass two Board exam(PSC & JSC) before SSC. If the result of the SSC will be excellent, then a student will get a chance in a good college for higher education. Secondary School Certificate(SSC) will be published on 6th May 2019(Probable Date). This year more than 17 lakh students participated in SSC exam 2019. A total of 1788319 students participated in SSC exam 2019 under ten education board In Bangladesh. The number of examinees has decreased this year compared to last year. Almost 10k plus students could participate in the SSC exam in 2019 because of many uncertain problems. Previous year’s SSC exam results were not very good. Since the examination question papers were not leaked this year, there is an excellent chance that the result of all the examinations will be good. This year, SSC examinations started at 3404 centers of Bangladesh simultaneously. Take a look at the number of different test centers in all the boards of Bangladesh. Below is the information of all the boards at the table size. Check Image to Clear your mind. Check SSC Exam Result Full Details here. Dakhil exam result 2019 will also publish the same day of SSC. This year Dakhil students increased and it is a great achievement for Madrasa board. Some of the students who fill their form but could not attend the exam because of their lousy circumstances. This year total of 243664 students appeared in Dakhil exam. The number center for Dakhil examinee was 711. Check your Dakhil Result quickly from our site. Under technical education Board(বাংলাদেশ কারিগরি শিক্ষা), more than 1 lakh students participated vocational exam in 2019. The number of students in the Technical board is increasing day by day. Bangladesh Technical Education Board which is first found on June 1, 1969. From that, they have been performing their duties with unanimity. 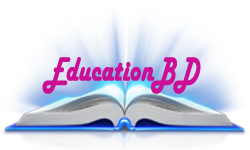 The Vocational students can check their result from our website as well as the official website of Education board in Bangladesh by selecting technical in Education board types. I hope your result will be outstanding in 2019 Vocational sectors. Are you searching for SSC result 2019 mark sheet? Then you can your full marksheet from our site and also eboardresults.com. This two site will help you to get your result so quickly with marksheet. The examinee can check their result with mark sheet and also check their marks of each subject. Generally, the results with the Markshit are published on the day of publication of the SSC result. So you do not have to wait too much for this. Many boards have their sites. On the day of the results, the candidates will be able to take their results with marks. Below is a list of websites of all boards. Hope all information will help you to know your SSC result 2019 published and also how to get your SSC result so much quicker. Thanks for reading this whole post. We pray to Allah that your result will be excellent.